While I am a bit too young to remember the Riot Grrrl Movement, I am a huge fan of women using music to empower themselves. A former Riot Grrrl herself, Sarah Marcus provides this pretty definitive account of the Riot Grrrl movement of the early 90s. She begins by talking about the pervasive idea at the time that “Generation X” was alienated and disenfranchised and how the Riot Grrrls challenged this by becoming feminist revolutionaries. Change however, even radical change, is normally achieved through electoral means. What is the point of a feminist movement based on electing senators for 16 and 17 year olds not eligible to vote. Thus the Riot Grrrl movement was born; a way for older teenage girls to take control of their lives and inspire change through meetings and producing zines and music. 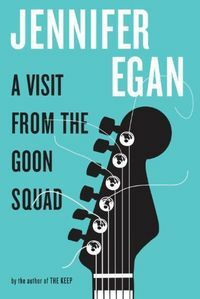 Marcus includes the stories of the punk bands that defined the movement including Bikini Kill, Bratmobile, and Huggy Bear, as well as the personalities involved. As Sarah Marcus is a former Riot Grrrl herself she is clearly passionate in her loyalty to the movement. This however does not stop her from seeing its flaws, including fights with the media, issues over race, class, and white privilege, and the catfights and infighting that often took place. After all, this was a movement being driven by teenage girls; there was bound to be a little drama. No movement is perfect, but in the end Riot Grrrl ended up being a “Cruel Revolution,” as Marcus calls it, alienating a number of girls instead of bringing the closer together. Even though the movement lost its momentum, it is still an important chapter in feminist history. Feminist movements have traditionally been driven by intellectuals, and while there were still issues surrounding race and class with Riot Grrrl (many of the girls involved were white and came from middle class families) the fact that the movement was driven by a group of girls who were at the time, teenagers, makes it something different, and therefore something worth reading about. 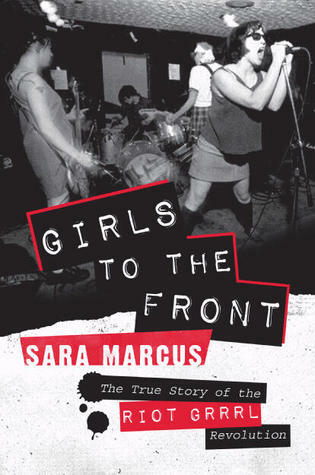 This entry was posted in Reviews and tagged 1990s, Feminism, Girls to the Front, Music History, Non Fiction, punk, Review, Riot Girl, Riot Grrrl, Sara Marcus on March 5, 2015 by kwils3.